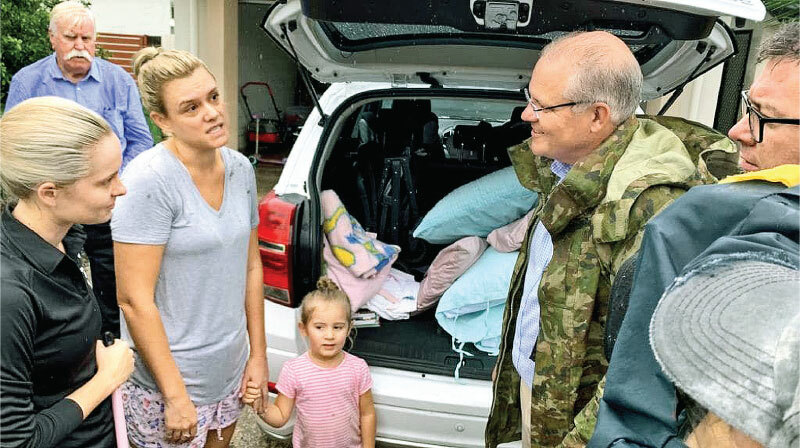 Australian Prime Minister Scott Morrison (Second from Right) meets with locals and assesses the damage in the Townsville flood disaster. AUSTRALIA: Heavy rain continued to pelt Australia’s flood-ravaged northeast Tuesday, prompting the authorities to warn of further flash flooding in the hours ahead.Two deaths have been reported so far. “The real work is to make sure that they can get through the clean-up and rebuild their lives.” In hard-hit Townsville, more than 650 people have been evacuated from their homes and about 11,000 houses remained without power Tuesday. Around 9,000 more have asked for help. “But we are expecting further periods of heavy rainfall, some of it very heavy, about the north-east tropics for the next few days... with that there is the real elevated risk of flash flooding.” Local gym instructor Rebecca Chilmaid described the scale of the devastation, of people left “without clothes, cars, their homes, everything”. “People and businesses have lost everything,” she told AFP. “I sit and struggle to keep tears from falling thinking about it.” Australia’s tropical north typically experiences heavy rains during the monsoon season, but the recent downpour has seen some areas get a year’s worth of rainfall in just a week. 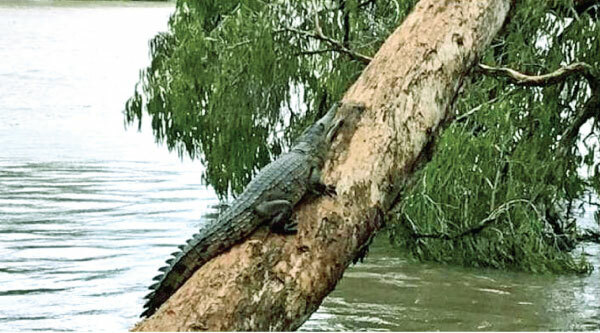 A freshwater crocodile spotted climbing a tree to escape Townsville’s floodwaters.